Pon Radhakrishnan, Minister of State for Road Transport & Highways has informed Rajya Sabha recently about the pending road projects in the country. In the last three years, so far 1022 projects have been completed, 1427 road projects were sanctioned, 437 projects are running behind schedule, 101 projects are under dispute/arbitration and 57 projects were terminated. The construction of 6300 km was targeted during 2013-14 as well as 2014-15. 4260 km and 4410 km of roads were constructed during 2014-15. 2013-14 and 2014-15. 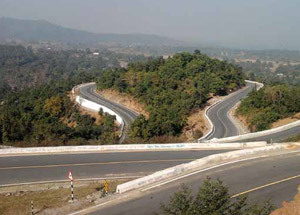 During 2014-15, the government could achieve the road construction at 12-km per day against the aim of 30-km highway per day. To achieve this, the government plans to award about 8500 km per year highway projects. The target for award for the year 2015-16 is about 10000 km. The highway projects awarded during 2013-14 and 2014-15 are 3621 km and 7972 km respectively. To improve the funding and debt issue, the Government has asked Reserve Bank of India (RBI) to treat road sector loans as secured. Apart from this frequent monitoring and review of the road projects are done at various levels.